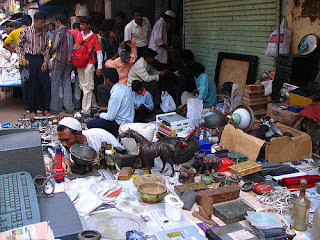 CHOR BAZAAR WORKSHOP: Where is Chor Bazaar and whats in the name? Where is Chor Bazaar and whats in the name? 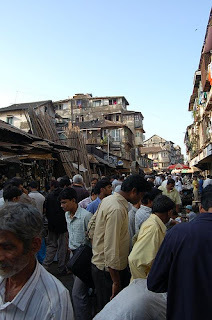 Chor Bazaar is located in South Mumbai (Bombay). It is famous for second hand good, and so called antiques. The name Chor means "thief” in Hindi and the idea is that most of the goods being sold were stolen at some point. The market is full of everything imaginable. One of my memorable visits to this market was finding a Rolls Royce covered in Brass statues and trinkets. They have everything from a Rolls Royce to a key chain of a Bollywood actor and of course the kitchen sink. 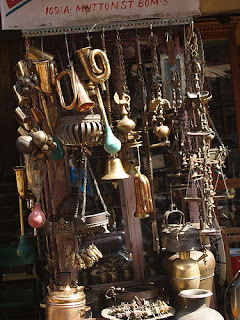 Overall, Chor Bazaar is an experience for the seasoned traveler that is searching for an urban adventure. If one is ready to dig, they can find a real treasure or at least something at 80% off the five star hotel store. Bargain until you loose your voice, its part of the fun. 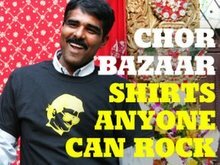 Our company name was appropriated from "Chor Bazaar", because we essentially take from other things and turn them into graphics. One could call the concept, "chory", but then again there is no such thing as a true original, apart from the invention of the wheel...and maybe a few other things out there. "Through the act of chory and appropriation, we initiate a desi phenomenology"